Red Lea Chickens produce poultry products that are sold through wholesalers, supermarkets, butcher shops, restaurants, hotels and clubs as well as their own retail outlets. All products have been processed at their Blacktown facility since operations began in 1957. Wiley was approached to design and build an air chiller to improve chilling capacity and product quality. Wiley was recommended to Red Lea by Linco, a leading poultry equipment supplier of air chill process systems. 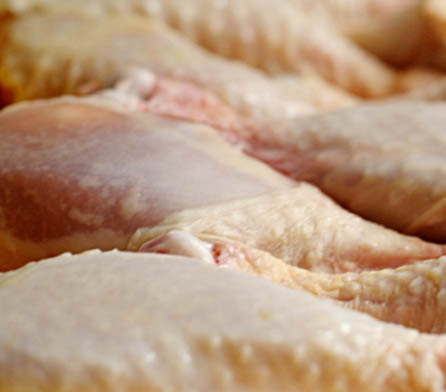 Air chilling of poultry is provided in mid-process, in the ‘heart’ of the operation. The height of the air chill meant the room had to penetrate the roof structure. Wiley studied the feasibility of building the air chill through the existing roof in the recommended location. Capital cost estimates and time schedule. Once the project was considered feasible, Wiley moved quickly to submit a development application (DA) with Blacktown City Council. While the DA was processed, Wiley developed designs for tendering and construction activities. Coordinated process and utilities requirements for the Linco mechanical scope as well as the specialised refrigeration air chill system. The project was complex due to being constructed through the roof and needed to be fast tracked. On this basis, the project under an open-book Target Sum style agreement. The end cost was below the original Target Sum. Coordination with Linco equipment installation. Financial management and contracting of sub-contractors. The new air chill provides Red Lea with improved chilling capacity and improvements to stringent product quality specifications. The project was delivered fast tracked in seven months from feasibility stage through development approval and design, construction and commissioning.